What does a race car, a Mars rover, and an award-winning robotic prosthetic arm have in common? All of them are being worked on by UOIT students in the new Jeffrey S. Boyce Engineering Innovation Studio. 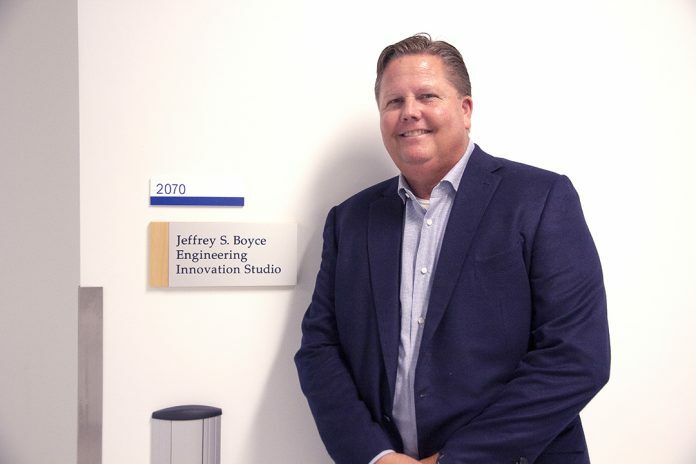 Oshawa-born energy mogul Jeff Boyce, the lab’s namesake, came from Calgary, Alta. on Monday to see the studio and unveil a plaque marking the studio’s official opening. 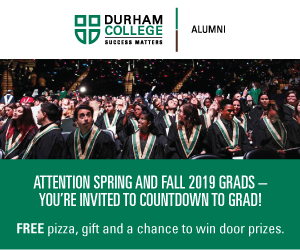 Boyce, 58, who graduated from the Business – Marketing program at Durham College has since donated millions of dollars to both the college and the university. UOIT has even named a student award after Boyce, who is now the president of Evsam Holdings Inc.
Hamayal Choudhry, a third-year Mechatronics Engineering student, used the studio to co-develop the smartARM, a 3D-printed prosthetic arm that won the 2018 Microsoft Imagine Cup earlier this year. 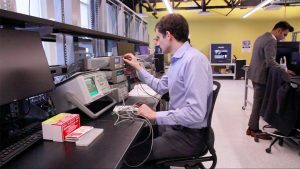 The arm uses a built-in vision system to measure required grip strength. Choudhry was one of the winners from 40,000 entries in the international student competition to develop applications that change our way of life. Also present was the robotics team behind UOIT’s Mars rover for the international University Rover Challenge and the motorsport team for UOIT’s electric race car competing in an international university event set up by the Formula Society of Automotive Engineers (SAE). Hidayat Shahid, UOIT’s manager of technical services, said the demonstrations were examples of what the studio could produce. According to Shahid, the studio was built as a “technology playground,” allowing students turn their ideas into real creations. “Before when we did not have the design studio, the student had to go outside and work in their garages and other things so basically this studio and having it on campus helps them implement their design,” Shahid said. Starting next month, Shahid will be the assistant dean of undergraduate laboratories such as the Boyce studio. The studio cost close to $1 million to build, Shahid said, with Boyce contributing $380,000, an amount matched by UOIT’s Dean’s Innovation fund. UOIT president Dr. Steven Murphy said the space will provide new ways of thinking and teaching for students and faculty. “We’re knee-deep in technology and that really is our DNA. It provides a place for students to unleash their fresh perspective, their entrepreneurial spirit, which you can see is alive and well and risk-taking mindset,” Murphy said. Shadid is confident in students’ ability to innovate. “In the long-run, we’re hoping some students will be able to come up with some products and they will do some start-ups which will help … take [UOIT] to the next level,” he said.